Top 10 lists seem to be all the thing at the end of each year, so I thought it might be fun to see what the 10 most popular recipes I've put up this past year have been. Not as easy as I thought it would be, but after stumbling around in Google Analytics for a while — does anyone else find this tool as unintuitive as I do? — I finally figured it out. It's easy for me to see firsthand which recipes my husband, friends and family enjoyed the most over the year, but it has been very interesting to find which recipes have resonated the most with my readers and followers. Some I could have predicted — my baked quinoa falafel bites were probably my own favorite recipe of the year, and my saag aloo (or potato and spinach curry) is definitely a new classic. 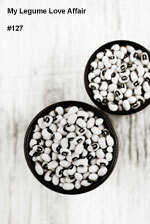 The diversity of foods that you seem to have enjoyed this past year from my blog shows me that I should continue to be diverse in my own kitchen — an easy thing for me to aspire to since I always like to try my hand at all kinds of different ingredients, techniques and cuisines. So I hope that you will enjoy my recipes for this coming year as well. 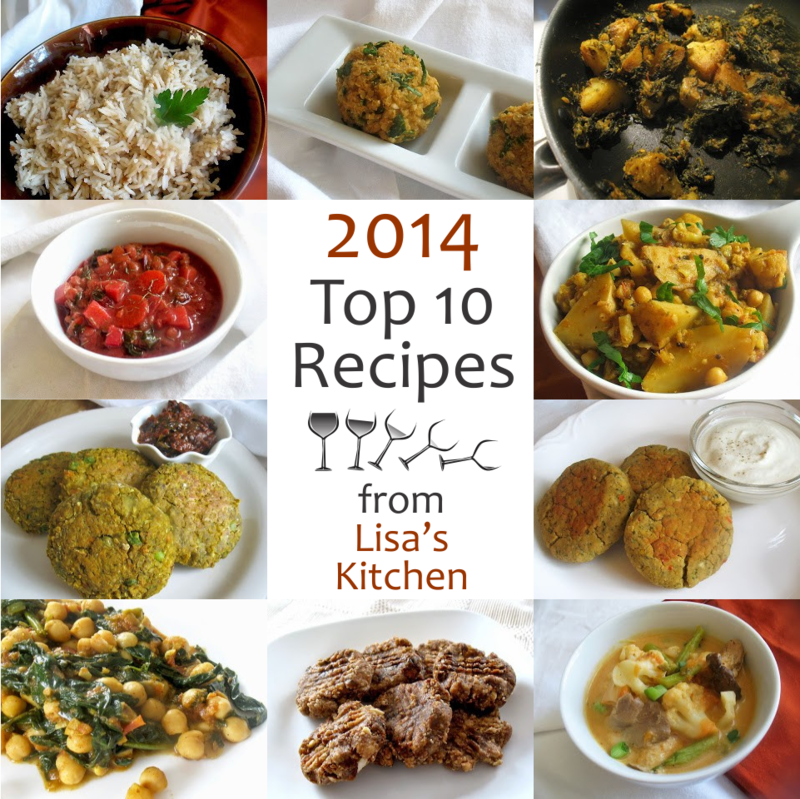 Before sharing my top 10 most popular recipes of 2014, I thought it would also be fun to share with you my own favorite ingredients of the past year. 1. Za'atar I was entranced with this popular Middle Eastern herb and sesame seed blend from the first taste. Tangy, zesty and salty, za'atar bursts with such flavor that it really isn't just an ingredient but a star in itself. In fact, it is usually eaten almost on its own, with bread dipped into some good olive oil and a plate of za'atar. 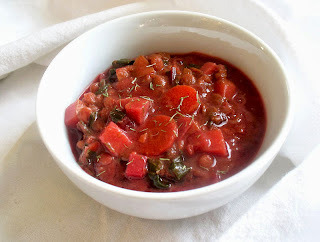 It's delicious sprinkled on fresh tomato slices or hard-boiled eggs, and a great ingredient to add to simple oil or yogurt dressings. It's also ridiculously easy to make at home. Coincidentally, Canada's national newspaper also called it the top ingredient of 2014. 2. Eggplant I never used to think I really cared for eggplant at all, until I was given charge of a giant homegrown one by my Dad a couple of years ago. Challenged to cook with it for almost the first time, I did a simple breading and broiling of some eggplant slices and was instantly hooked on the vegetable. 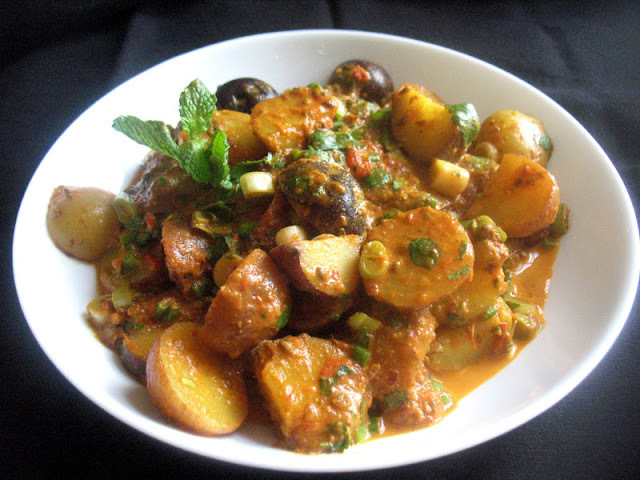 Prepared, gently cooked and seasoned properly, eggplant has a delicate and slightly nutty and buttery flavor and adds a terrific contrast in texture in curries, chilies, and many other kinds of dishes. Since that first experiment, eggplant has featured more and more often in my cooking over the past year, and there will be more to come in 2015. I also plan to explore some of the exotic Asian varieties soon. 3. Coconut Coconut oil, coconut milk, coconut sugar, coconut water … in short, almost anything made from coconuts. I've been treated to some generous samples of all kinds of coconut products in the past year, and I've come to appreciate the health benefits of coconuts and the versatility of ingredients made from coconuts. Coconut oil has a relatively high smoking point that makes it excellent for frying, imparting a mild coconut flavor and fragrance to curries and Asian style soups, but it also solidifies at relatively warm temperatures making it an ideal ingredient for raw treats. I've pretty much abandoned brown sugar in my pantry for unrefined coconut sugar, and coconut milk adds a lovely creaminess to any soup or stew that would ordinarily call for milk or cream, so it's great for vegans too. This year I plan to find out how I can use coconut flour. 4. Peanut Butter and Tahini My husband often has to run out of the house in the morning without time for a proper breakfast, so I like to have quick and easy things like muffins ready for him to grab and go. This past year I've been getting more and more into the idea of preparing raw foods in ready-to-eat packages for him instead. Actually, I like having them around for myself too! Having no-bake foods is easy, yes, but preserving the goodness of raw ingredients without processing or cooking means that he's getting even more of the energy that these ingredients can provide. Nuts, seeds and dried fruit are the basic building blocks of raw treats, but nothing makes raw treats tastier and easier than protein-rich natural peanut butter … or tahini, which is basically what is used in the Middle East in place of peanut butter. Who doesn't love these ingredients? It's a bit of a surprise to me that the most popular recipe I've posted this year has been this peanut butter rice with only four ingredients — one of which is water! 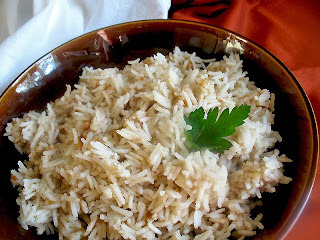 But then again, we all like really simple ideas for livening up those plain ordinary dinner sides that we so often tend to neglect, and cooking delicate buttery basmati rice with peanut butter makes for an easy and delicious accompaniment for spicy mains. On the other hand, the popularity of this recipe is no surprise to me, as it was certainly one of my favorite foods of the year. Baked to a crispy golden-brown with quinoa instead of chickpeas, these are lighter than traditional falafels. 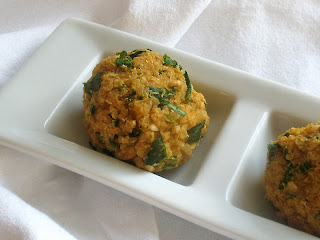 And in a tiny bite-size ball, they're perfect to have around as hors d'oeuvres or snacks or just as a lovely light meal, which I did several times this year served with a simple tangy lemon, tahini and yogurt sauce. 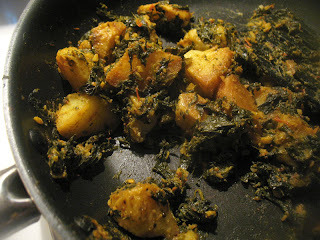 Over the years I've recreated — or improved upon — many of the famous vegetarian dishes found in Indian restaurants, but for some reason it wasn't until this past year that I put my hand to the the potato and spinach curry called saag aloo that is one of the most popular North Indian vegetable dishes around the world. Potatoes are baked and then pan-fried until golden, then simmered with aromatic spices, lemon, tomato and fresh spinach to create a curry you'll want to eat again and again. On the other hand, I've certainly made the classic North Indian potato and cauliflower curry called aloo gobi several times over the years. 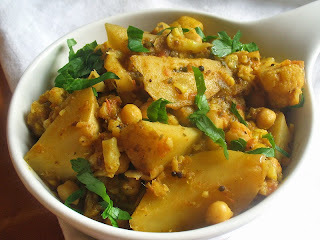 But this year I decided to fill it out with some soft buttery chickpeas to make the curry a complete meal in itself. I don't know why I hadn't thought of it before, but it turned out that many of you thought it was a good idea too. This was the recipe that brought about the baked quinoa falafel bites later in the year. 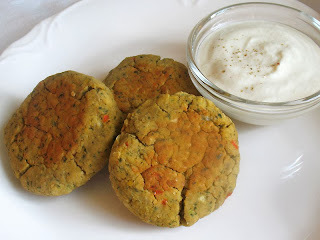 I'd always enjoyed falafels at Middle Eastern restaurants, but I wasn't enamored with the idea of frying them at home, so I came up with a baked version that was just as delicious … even more delicious stuffed in pitas and served with diced pickles and tomatoes and that wonderful lemon, tahini and yogurt sauce. Over the past couple of years I've become more familiar with — and adept at — Thai cooking. Thai curry pastes have such unique tastes and aromas, and so simple to make at home, that I usually have a couple of jars on hand to thrown into a quick Thai curry. 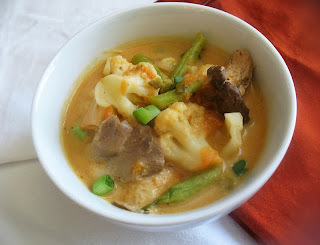 Although tomatoes aren't quite traditional Thai ingredients, I came up with this Thai-style "cream of tomato" soup with red curry paste and coconut milk and loaded with vegetables. This was the year that I really got into wholesome raw, no-bake treats — not to save time, although that is definitely a plus, but to preserve the goodness of raw ingredients. 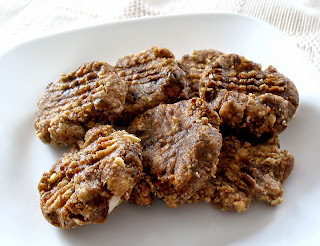 The most popular of all — and who doesn't like a peanut butter cookie — were these easy, moist, soft and chewy no-bake peanut butter cookies sweetened with dried fruit. Nothing to feel guilty about. This is the kind of Indian curry I can eat every week — simple, colorful, nourishing and delicious. 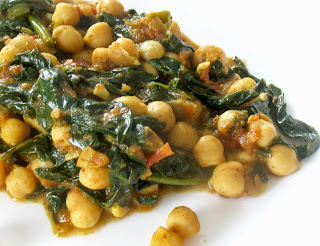 What makes this chickpea and spinach curry a go-to dinner is the addition of coconut milk to the tomatoes to make the sauce a creamy fragrant delight. This is probably now my own signature vegetarian burger. 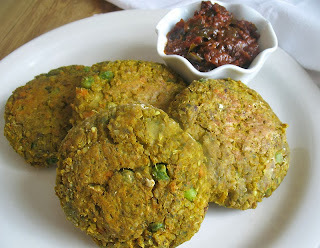 Chickpeas, quinoa and fresh vegetables combined into an all-in-one perfect spiced veggie burger served in pita breads with a zesty tomato chutney and pickles made for a dinner that my husband and I returned to several times during the year. There's nothing like a bowl of homemade vegetable soup to comfort the soul and the body in cold weather, and the classic flavors of winter root vegetables like beets, potatoes and carrots simmered with a little dried herbs and a dash of paprika with earthy green lentils did just the trick this past frigid spring. It was as simple to make as it was hearty, nourishing and warming. happy new year lisa - all looks marvellous - we are spoilt here with great falafel and cheap zaatar pizza so these just fall off our list of things to make at home but those quinoa falafel sound delicious as do the quinoa burgers.